Just like students don’t tackle algebra or calculus without basic math skills and just like authors and screenwriters don’t start with the plot reveal but build the plot and develop the characters, strength training is more effective with progression. Strength training works under the same trajectory, establish the fundamentals and then build off of them. It’s not as effective to go to the gym and ad-lib a collection of exercises for the day as it is to go off of a structured training program that utilizes progression. The reason is a structured training regimen enables an individual to establish consistency in their workout routine and improve on the scheduled exercises over a period of time. Cramming a medley of exercises together without any awareness of where the progress is being made will likely produce positive results. However, without the measured progress of a progressive-based routine, the individual is making themselves more susceptible to plateauing, injury, and a less effective workout. 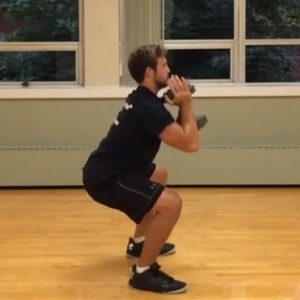 The goblet squat (pictured here) is a simpler variation of the squat — recommended for beginners. In his “Ten Rules of Progressive Overload,” T-Nation’s Bret Contreras noted the different variables that have to come into consideration with regards to progression. The training level of an individual is going to determine the degree of the progressions to be implemented. So the progressions themselves are going to be tailored towards the capability of the individual. The principles of progression however, are universal. 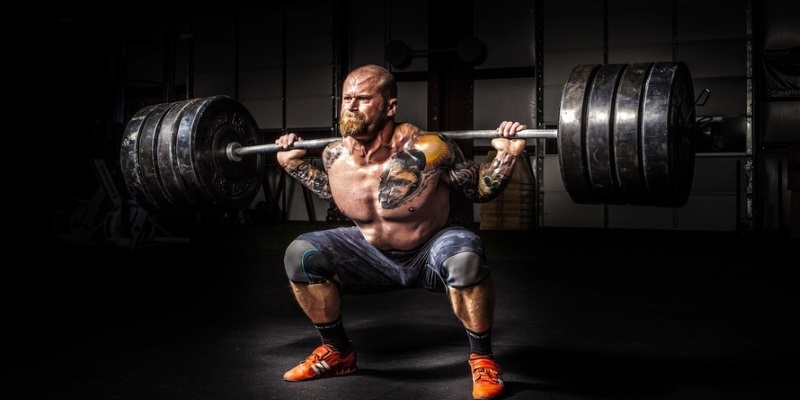 There are two forms of progression in strength training, one is the progression of movement — going from an assisted squat to a goblet squat, a goblet squat to a front squat, and a front squat to a back squat — the other is the increase in resistance of the movement. The foundation of progression is perfect technique. Adding resistance to faulty technique is good for the business of those who treat injuries, but bad for business for those looking to get stronger, more fit, and healthier. Perfect technique must be established with the respective exercise or movement before implementing resistance, or more resistance. Strength training is imposing an overload on the body and training it to adapt to that stress. The body adapts to the stress by preparing the muscles to handle that stress. Over time the body will no longer respond to the stimulus of the overload like it once did because it has adapted to that stress. When the body is continually confronted with a stress that it has adapted to, it will no longer produce the intended results of strength training and that’s where an individual runs into a plateau. An individual moving forward in their training does not have to get too crazy with their exercises and movements, and resistance and reps to induce an overload. Progression should be kept simple. For example, once a week for four weeks a person does the goblet squat at 3 sets of 8 repetitions with the load ranging from 20 lbs. on the first set of the first week, to 60 lbs. on the last set of week four. At this point the individual has to use near 100% of their effort to execute to an 80 lb. goblet squat for 8 reps. The progressive measure from that point would be to do 3 sets of 6 reps for the next four weeks to allow the individual to build more strength by producing more force at a higher resistance. The usage of the goblet squat will continue to provide a stimulus for most individuals, so there is no need to transition from it immediately if it is still providing a challenging stimulus. Therefore, careful consideration should be paid to transitioning from something like the goblet squat to the front squat. If there is something still to be gained from the simpler form of the movement, continue to use it. 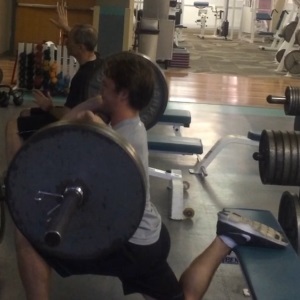 The RFE split squat (pictured here) can provide a challenging stimulus for the highly trained.